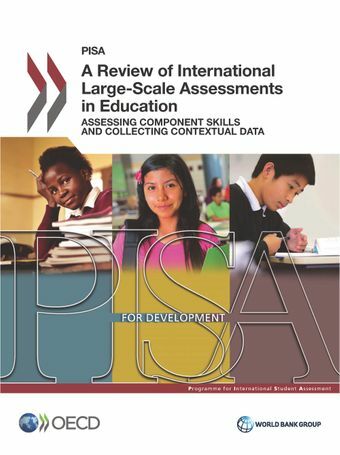 The OECD has initiated PISA for Development (PISA-D) in response to the rising need of developing countries to collect data about their education systems and the capacity of their student bodies. This report aims to compare and contrast approaches regarding the instruments that are used to collect data on (a) component skills and cognitive instruments, (b) contextual frameworks, and (c) the implementation of the different international assessments, as well as approaches to include children who are not at school, and the ways in which data are used. It then seeks to identify assessment practices in these three areas that will be useful for developing countries. This report reviews the major international and regional large-scale educational assessments: large-scale international surveys, school-based surveys and household-based surveys. For each of the issues discussed, there is a description of the prevailing international situation, followed by a consideration of the issue for developing countries and then a description of the relevance of the issue to PISA for Development.